On Sunday, November 5th, thousands of Southwest Florida’s motorcycle enthusiasts, spectators and supporters will come together to give every baby a fighting chance. The 17th Annual Southwest Florida Bikers for Babies weekend, presented by LeeSar, is happening Friday, November 3rd through Sunday, November 5th and will include rides, rallies and more for cause-driven motorcyclists. Bikers for Babies is the largest fundraiser for the March of Dimes in Southwest Florida, and plays a critical role in supporting research and medical services relating to premature birth and infant health. Individuals, riders, clubs, businesses, and organizations are encouraged to create or join a fundraising team and strive to become the top Bikers for Babies fundraisers. To date, OVER $2 MILLION has been raised to give a fighting chance for every baby. In 2016, FLBikers.com was there to capture all the action of the riders leaving Naples and we will be there again in 2017! 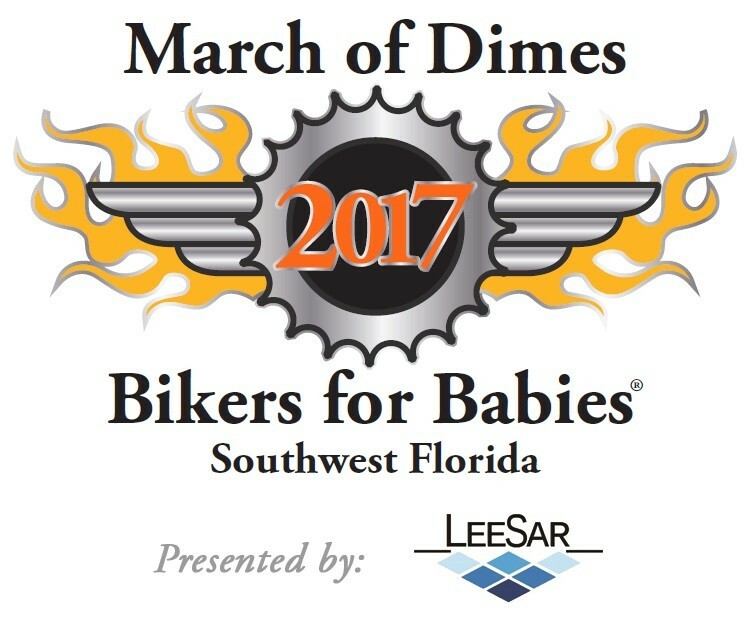 For more information on Bikers for Babies 2017, to join a fundraising team, or to register for the annual ride, visit www.bikersforbabies.org/swflorida. For other inquiries (including vendor opportunities), please contact Trent Howe at 239-271-2562 or thowe@marchofdimes.org.